Man has a new best friend: The smartphone. And why not? In just the past decade, smartphones have given us apps that can do all sorts of neat things like conveniently pay our bills, send silly selfies to loved ones and even fling inexplicably angry birds at little green pigs. They do all this and more to enrich our lives with just the touch of a button! The good news for all you language learners out there is that there are now hundreds of apps which will allow you to take your French skills to the next level. The bad news is that you no longer have any excuse to put off studying! In this post, we’re going to explore the best French flashcard apps and tell you how to make the most of them! Before you run off to the app store and start blindly downloading, there are a few things that you need to know. First of all, there are so many flashcard apps to choose from. If you don’t believe me, just ask Google. If any indecisive readers are still feeling panicked, rest assured that we’ll direct you towards our favorite flashcard apps after we explore some tips for usage. If you decide to go rogue and play with apps not on our list, keep the above tip in mind. In the meantime, let’s not focus entirely on which apps to use, but instead take a look at 4 easy tips to make the most out of whichever app you choose! 1. If you have the time, make your own cards! Half the fun of flashcards is making them! Okay…maybe not half the “fun,” but it’s certainly the reason why so many students who make their own flashcards score higher on tests. The logic behind this is obvious: time spent making flashcards = time spent studying! Homemade flashcards engage all three styles of learning including Kinesthetic (through physically spelling out the word), Visual (by reading the word) and Auditory (when you speak the word out loud, you also hear it). If you can, try to dedicate a certain amount of time each night to making your own digital flashcards just like you would if the app didn’t exist. By doing so, you’ll get the absolute most out of your app. 2. No time? No excuse. Let’s face it, between balancing school, work and relationships, time can be a scarce commodity. Many modern language learners lament, “I’m just so busy…I don’t have time to study flashcards, let alone make them!” Twenty years ago, that tired line may have worked, but no more! Nowadays, you can jump onto one of the many flashcard apps out there, browse through premade sets, find the vocabulary words that’ll benefit you most and study them whenever you have a few minutes of downtime. While it may not be as effective as making your own cards from scratch, it’s still undeniably more helpful than playing Fruit Ninja on the bus ride home. Have you ever started the day by telling yourself, “Today, I’m going to study my vocabulary for 30 minutes” only to find that you’re kicking yourself at bedtime for skipping it? Some learners’ ambition tends to rise and fall with the sun: Eager in the morning, tiring out by noon and exhausted by evening. After a big dinner, it would take Herculean willpower to sit down and study foreign vocabulary for a large chunk of time. But alas! The answer to this age old dilemma has arrived and is probably resting quietly in your coat pocket (or resting loudly…depending on your ringtone). Now that you can take your flashcards with you everywhere—something that was previously a hassle—you can break up your studying into little chunks over the course of the day. Give yourself a realistic goal every day and break the overall time up into miniature study sessions while you’re on the bus, eating lunch or just waiting for class to start. If you find that you don’t hit your goal exactly, so what? Every little bit helps! You’ll be amazed at what a 10-minute review here or a 5-minute self-quiz there will do for your vocabulary. 4. Embrace synergy…it’s a wonderful thing! Alright, if you’ve ever sat through a business class, you probably just rolled your eyes at the word “synergy.” The word “synergy” is one of those textbook key terms that has become a little cliché…but in its defense, it’s cliché for a reason. If you’re unfamiliar with the term, synergy basically means that, sometimes, the sum is greater than its parts. In other words, with the right team you can achieve something much better than you ever could alone. In the words of Vince Vaughn, it’s “people helpin’ people.” Despite popular rumors, studying doesn’t have to be boring. This is especially true with flashcard apps. You and your friends can share your e-flashcards. You’ll get to see who can define the most amount of cards in the least amount of time. With portable e-flashcards, you and your study group are only limited by your own creativity. So the next time any of your friends start saying, “what do you want to do…? I don’t know, what do you want to do…?” you can all whip out your phones, play a vocabulary game and finally put an end to that ridiculous conversation. Try doing this little activity with three phones: One can have a premade set to describe the person (1st person singular, 2nd person singular, etc. ), one can give the verb tense (present, imperfect, subjunctive, etc.) and the third can be a compilation of verbs. Sit all three phone in the center of a table, set the flashcard settings to “mix” and keep score to see who can conjugate the most verbs before messing up! Are you looking for something that goes a few steps farther than flashcards? FluentU brings flashcards to life. And when I say “FluentU brings flashcards to life,” I want you to imagine the bewitched paintings in Hogwarts School of Witchcraft and Wizardry, where the illustrations are so alive that they actually talk to students and wander casually from frame to frame. That’s what I’m talking about—FluentU’s flashcards move, breathe, wave to you—they’re the most alive and engaging flashcards out there. Now, how does it manage to create such unique flashcards? FluentU takes real-world videos—like music videos, movie trailers, news and inspiring talks—and turns them into personalized language learning lessons. You’ll be watching video content that native French speakers actually watch on the regular, so that means your brain will become familiar with everyday, modern French that’s relevant to you. 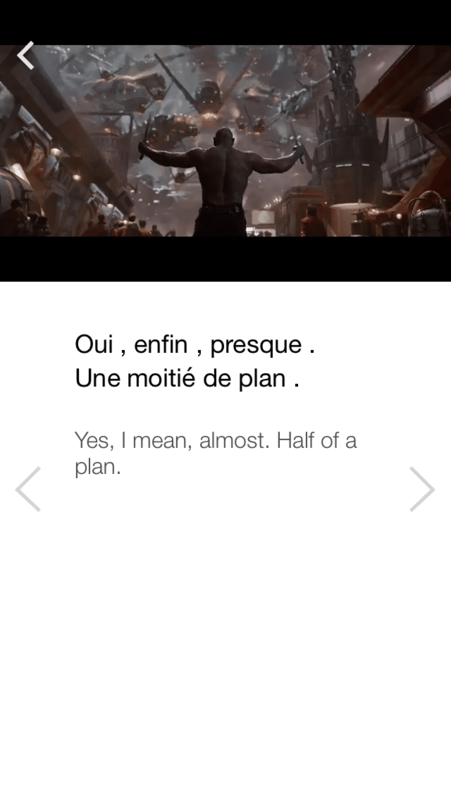 FluentU then converts the French video content you’re watching into personalized flashcards. There are a few different ways you can go about playing with these flashcards. After choosing an individual video based on your skill level and personal interests, you’ll be prompted to choose between “watch” and “learn” modes. If you opt for “watch,” you’ll watch your videos as normal with interactive subtitles that are translated both by word and by sentence. If you click on “learn,” then you’ll go straight to the personalized flashcard content using key vocabulary from the video, giving you a chance to practice either ahead of time or after watching the clip. This “learn mode” actually integrates pictures, video clips and example sentences into the flashcards, making for truly memorable in-context learning experiences. You can always revisit these flashcards later, too. All your previously used decks are assembled in an easy-to-navigate format. Start learning French with these fresh, fun flashcards on the website or by using the iPhone or Android app. Looking for the biggest, baddest French flashcard decks on the Internet? Then you’ve got to take a look at what Anki’s got going on. 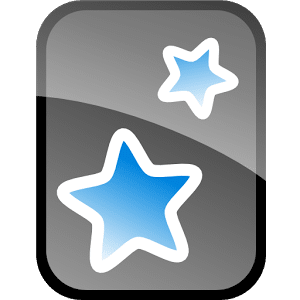 Anki can support decks that span over 100,000 individual cards, and it’s got a huge user base that’s been highly active for quite some time now. This dedicated language learning community has created, compiled and shared thousands of French flashcards covering every skill level, theme and interest. You’re also able to customize every last detail related your flashcard content, card layout, practice exercises and assessments. You can even tinker with the Spaced Repetition System and try to optimize when and how different flashcards appear during your study sessions. 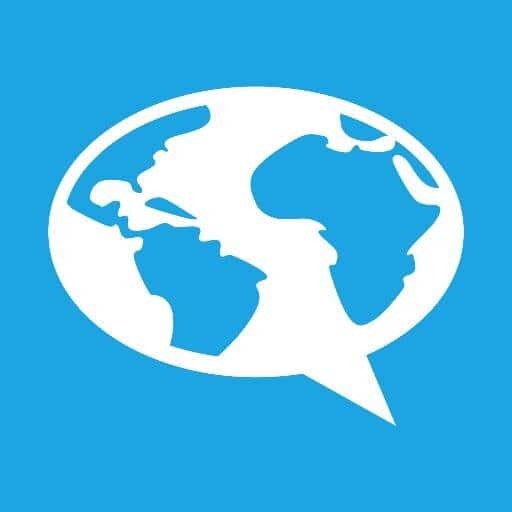 MosaLingua is an app that focuses on teaching the words and phrases that will be most immediately useful to learners. 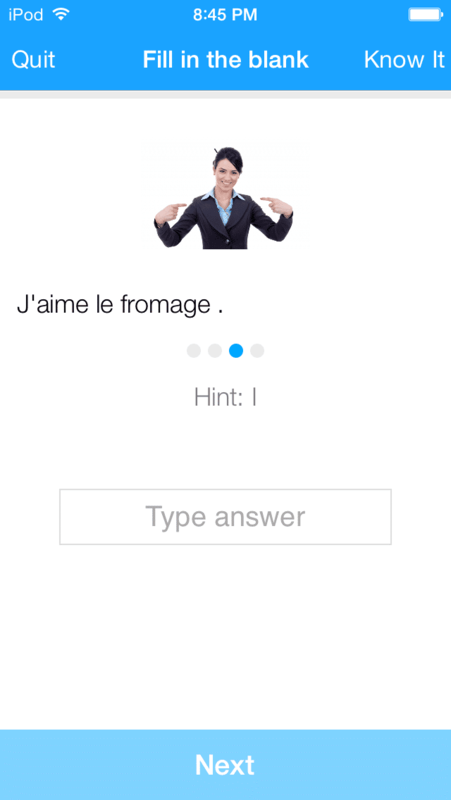 With the iOS and Android versions, you can start learning right away through flashcards, dialogues and pronunciations provided by native French speakers. Like with Anki and other general flashcards programs, you can also make use of an option to create your own cards. However, there are special considerations given to language learners here. With the web version of MosaLingua, you can browse pre-selected content and instantly create flashcards from words and phrases in authentic material you read online. 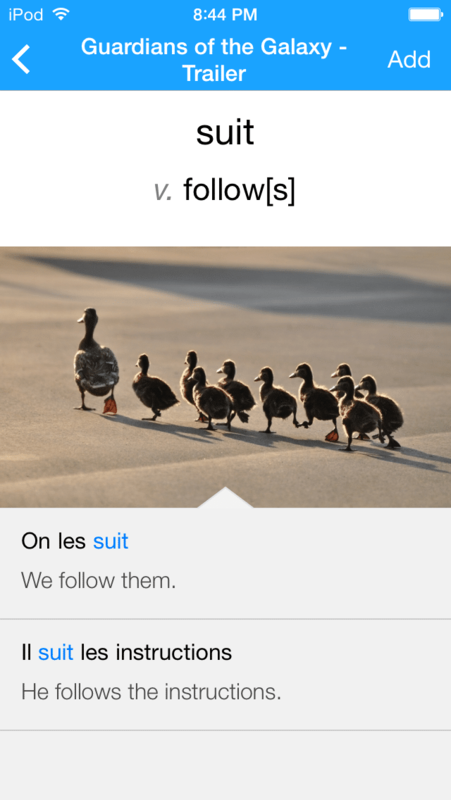 As your content and progress are synced over all devices, you can then use the flashcards you created while doing your French reading to review vocabulary whenever it’s convenient for you. CleverDeck lives up to its name—it’s pretty darn clever. 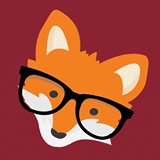 Like many other of the apps here, it presents us with customizable spaced repetition flashcard decks. They want to turn your brain on autopilot and have you absorb tons of French vocabulary as quickly and painlessly as possible. While they’ve gathered around 3,000 important French vocabulary and phrases to build the French flashcard deck, they really want you to focus on those first 1,000 words. If you’re an advanced or nearly fluent learner, feel free to jump into the deep end and practice more complex language with this deck. If you’re a beginner, CleverDeck will really help you get your priorities straight and improve your French fluency quickly. As CleverDeck says loudly and proudly, 1,000 more common French words will account for about three-quarters of your language. Learn these guys, and you’ll be three-quarters of the way to total French mastery. Each flashcard uses authentic audio pronunciations, relevant images and usage examples to get the meanings of the words across. That means you won’t just stop at rote memorization of each word’s written form, you’ll also be able to swot up on your French pronunciation and learn how to use these new words in context. They’ve also considered the important of context in these flashcards, grouping all the words into relevant thematic categories and helping you to better develop relationships between words. Plus, you’ll have a blast learning all of this because they’ve gamified everything—you get points for successful moments in the flashcard exercises. In this app, we’ve got two major kinds of flashcards flashing before our eyes. To quiz yourself on your French vocabulary knowledge and retention, there are the traditional flashcards that let you focus on one isolated word or phrase at a time. The second kind of flashcards are more holistic and less traditional—they flash one common, everyday scene before your eyes and challenge you to name the objects you encounter. You’ll have to scan around an entire restaurant, park or bedroom scene to glean new French vocabulary. Then you can toggle on the pop-up definitions which label every last object you want to know about in French. This is perfect for absolute beginners, children and visual learners. It’s like having an interactive picture book designing your flashcards for you. The colorful illustrations and fun stories make for a more engaging and positive experience overall. 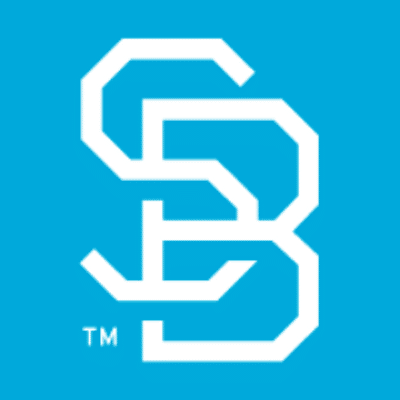 This is a great app, both well-organized and user friendly. 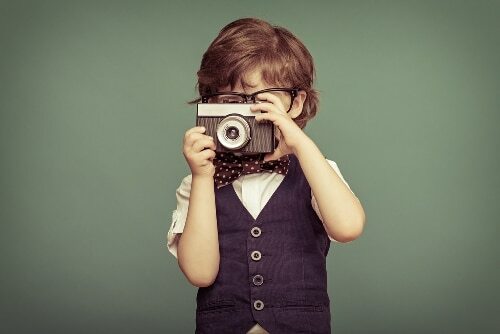 One of the benefits of this app is that you have the opportunity to include pictures and sounds (again, no matter what kind of learner you are, you’re covered!). You can set reminder timers that will go off and alert you when it’s time to study French again—so you’ll have no more “oops, I forgot!” moments. Another big plus is that you can test yourself quite rigorously with these decks and get straightforward scores (and keep track of these scores) so you can really get some good perspective on your French progress over time. 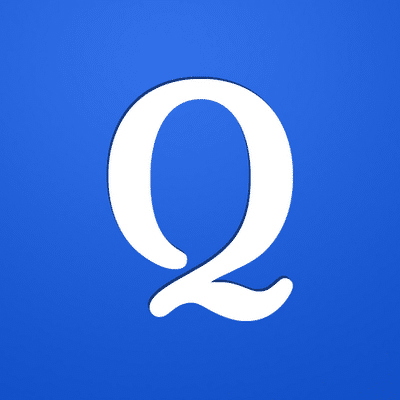 Quizlet is one of those apps that’s fantastic because it has every advantage going for it and it’s very user friendly. 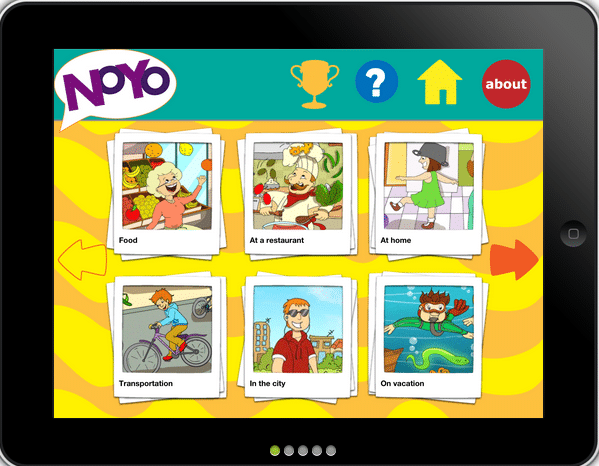 It allows you to create your own multimedia flashcards by attaching pictures and recording your voice. As you go along creating flashcards, it’ll ask you what language you’re typing in (for both sides of the flashcard) and accented letters sit nearby, waiting to be added with just the click of a button (always a plus if you aren’t working with a French keyboard). Oh, and there are thousands upon thousands of French language learners on this site creating and sharing their existing decks. Learners—and teachers, too—are using this site to dream up bigger, better and more relevant decks of flashcards for today’s French students. See what they’ve got to offer already, and then start designing your own French decks once you feel inspired! So, now you’ve got all the tips and resources you’ll need to use digital French flashcards effectively. But remember, language learning tools will only yield results if you put in the effort. Having an app on your phone will do you no good if you never use it. By employing those four tips every day, you’ll see your French skills improving in a flash with flashcard apps!